Claire Simon’s The Competition (Le Concours), the thrilling observational portrait of French film school La Fémis, will be the first theatrical release by Metrograph Pictures and the U.S. theatrical debut of the veteran filmmaker. The film opens Friday, February 22nd in New York at Metrograph, with a nationwide expansion to follow. Claire Simon’s The Competition (Le Concours) begins, significantly, with the image of a locked gate—that of the Fondation Européenne pour les Métiers de l’Image et du Son, or, as it’s more popularly known, La Fémis. One of the most prestigious film schools in the world, offering hands-on training from working professionals, every year La Fémis attracts hundreds upon hundreds of applicants hoping to fill only forty annual slots. This new film by Simon, one of France’s premiere nonfiction filmmakers, offers a unique look into the process whereby those lucky forty are selected—a process involving examiners from the French film industry which is highly personal and idiosyncratic and subject to the vagaries of taste and personal prejudice. Simon’s film, as that opening image belies, is concerned with documenting the actual workings of cultural gatekeeping—for the filmmaking apparatus is unwieldy and expensive, and the privilege of access to its operations isn’t easily earned. In a series of illuminating vignettes, The Competition allows us to witness every stage of the process whereby which young men and women are evaluated for their fitness as suitable raw materials to be shaped La Fémis, from written examinations to in-person interviews. Observing the observers, in every scene Simon subtly draws out the dynamics pertaining to gender, class, and race at work in the room, a reality of human variability at odds with the French Republican ideal of a neutral égalité. Funny, penetrating, and surprisingly suspenseful, the timely The Competition is not only a unique opportunity to see the inner workings of an institution at the very heart of the French film industry, but an invitation to look at the assumptions and roadblocks that shape any national film industry, and higher education in general. A masterful work of nonfiction that urges us to consider the system that nurtures or pushes aside would-be filmmakers, and encourages us to think about why we see the films that we see. Claire Simon is a French screenwriter actress, cinematographer, editor and director. Claire Simon began her career making short films, with La police (1988) and Scènes de ménage in 1991, starring Miou-Miou. She then discovered the practice of ‘direct cinema’ with the Ateliers Varan and made several documentaries such as Les patients (1989), Coûte que coûte (1995) and Récréations (1998). Her first fiction feature-length film, Sinon, oui! (1997), the story of a woman who pretends to be pregnant and kidnaps a child, was presented at Cannes Film Festival Directors’ Fortnight in 1997. 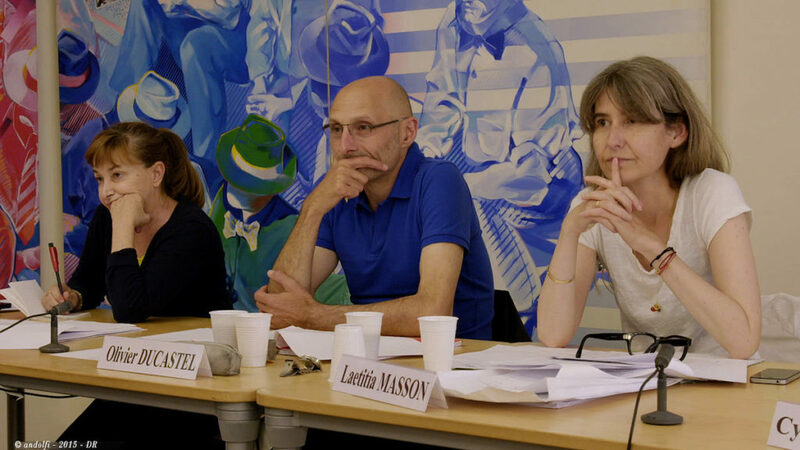 Her next film, Ca, c’est vraiment toi (2000), half-documentary, half-fiction, filmed within the walls of the European Parliament, was awarded the grand prize at the Belfort Film Festival. After working in theater, Simon returned to documentary with800 km de différence – Romance (2002) and Mimi (2003), which premiered at the Berlin Film Festival 2003. Her second fiction film, Ca brûle (2006) was selected for Directors’ Fortnight at Cannes in 2006. She received the True Vision Award at the True/False film festival (2017), a career honor. An atypical talent in the French film industry, Claire Simon has been directing for more than two decades–ceaselessly–to capture the essence of reality.